Are you ready for some football? If you watched yesterday’s Pro Bowl, the answer is an emphatic yes—the first non-conferenced all-star exhibition was the most competitive and fun to watch in years (not to mention the closest-contested game in three decades). Where Pro Bowl week has generally been reserved as a brief catnap in the time between the conference championships and the Super Bowl, this year’s showing was a breath of fresh air. Also making quite a showing at yesterday’s Pro Bowl—as well as at next week’s big game in New York—is the GMC brand, whose trucks and SUVs will play an integral role in the week leading up to Super Bowl XLVIII and reaffirm their status as Official Vehicle of the NFL. GMC vehicles were visible during the All-Star Block Party and Official Pro Bowl Tailgate party that preceded the game; their vehicles also provided transportation to numerous U.S. military service members and their families in getting them to the game itself and practice sessions held beforehand. One lucky soldier was on hand for the Pro Bowl MVP award ceremony, where most valuable offensive player, Nick Foles (QB, Philadelphia Eagles), and most valuable defensive player, Derrick Johnson (LB, Kansas City Chiefs), won the keys to a 2015 GMC Yukon and 2014 GMC Sierra Denali. With Super Bowl XLVIII firmly in its sights, the Official Vehicle of the NFL next makes its way to New York for the festivities to be found on Super Bowl Boulevard Engineered by GMC. Concerts, skill challenges, and an interactive GMC display will be present in Times Square from Wednesday to Saturday; fans will be able to have their pictures taken and placed on the cover of EA Sports’ Madden NFL 25 and get their photo snapped with the Super Bowl MVP trophy. Saturday will also see the 3rd Annual NFL Honors award ceremony take place, where the winner of the 2013 GMC Never Say Never Moment of the Year will be announced. The nominees include Peyton Manning (QB, Denver Broncos) for his Week 5 performance against the Dallas Cowboys, Luke Kuechly (LB, Carolina Panthers) for his efforts to shut down San Francisco in Week 10, Tom Brady (QB, New England Patriots) for his stirring 24-point comeback performance against Denver in Week 12, Joe Flacco (QB, Baltimore Ravens) for his play in a blizzard against Minnesota in Week 14, and Aaron Rodgers (QB, Green Bay Packers) for his playoff spot-earning pass against the Bears in Week 17. Also present on Super Bowl Boulevard will be the full GMC vehicle lineup, including the 2015 Yukon and 2014 Sierra Denali. 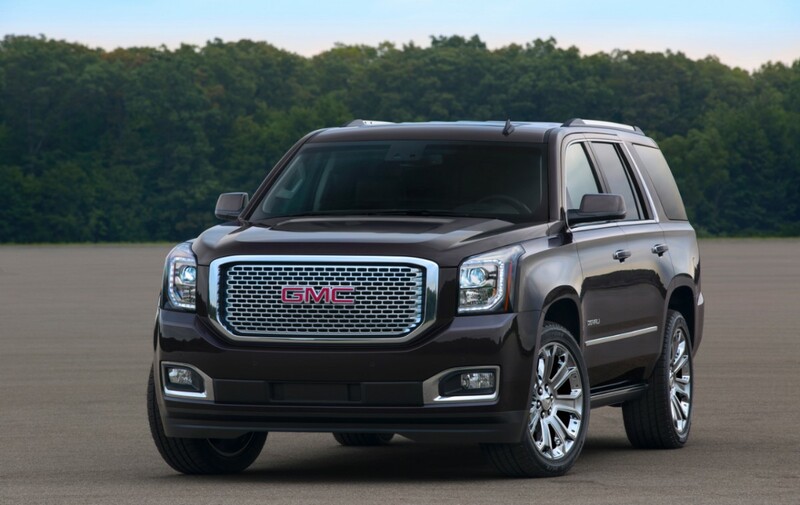 This marks GMC’s ninth year as the Official Vehicle of the NFL.